An innovative bleeding control system developed for the U.S. military has recently been approved for civilian use. The device — known as XStat — uses tiny injectable sponges to provide hemostatic pressure within wound cavities. The system is designed to stop severe bleeding in areas of the body that are difficult to compress or to treat with a tourniquet. XStat was developed by RevMedX, an Oregon company cofounded by former Army medic John Steinbaugh. 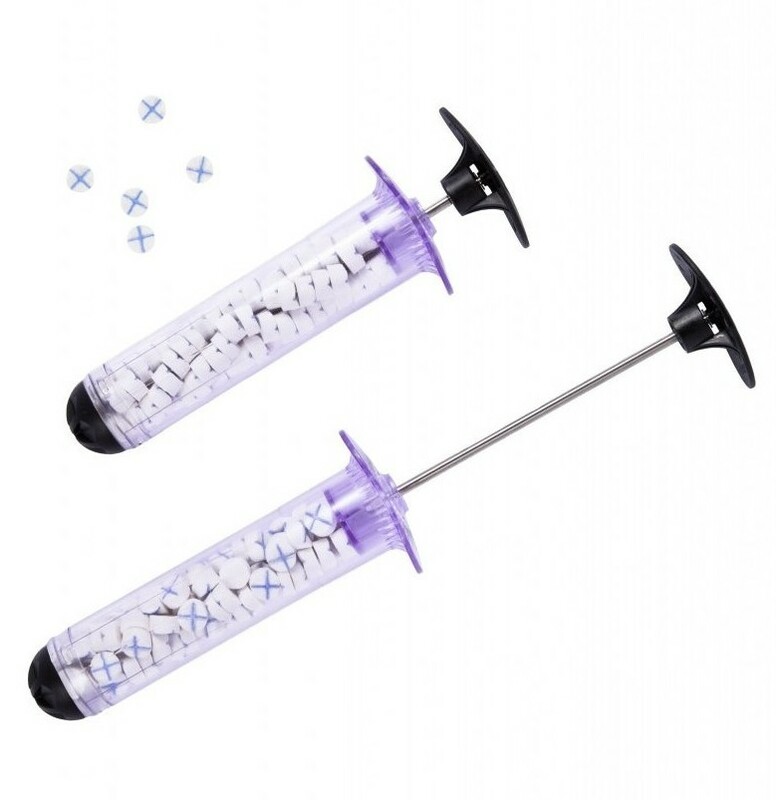 The device consists of a syringe-like applicator loaded with 92 cellulose sponges. Each pill-shaped sponge is coated with a blood-clotting agent. XStat is designed to control severe bleeding from wounds in the groin or shoulder that are not amenable to tourniquet application. According to RevMedX, the device should only be used for adult and adolescent patients at high risk for life-threatening bleeding from ATLS class 3 or 4 hemorrhagic shock. To use the XStat, a medic positions the applicator at the wound opening. The user then depresses a plunger to inject the sponges into the wound cavity near an artery. Upon contact with blood, the sponges expand up to 15 times their original size. Tests have shown that XStat can stop bleeding in about 20 seconds, according to the PBS report. Each applicator dose can absorb approximately one pint of blood, according to a news release from the U.S. Food and Drug Administration (FDA). The number of sponges needed to control bleeding varies depending on the size and depth of the wound. Up to three applicators may be used on a patient. The non-absorbable XStat sponges can be left in a wound for up to 4 hours. Each sponge is embedded with an X-ray detectable marker to help ensure all are removed during surgery. RevMedX began developing the sponge system in 2008, and the XStat device was approved for military use in April 2014. The FDA approved the modified “XStat 30” for civilian use in December 2015. XStat is one of several new devices bringing innovative thinking to the problem of non-compressible internal bleeding. In 2015, a Massachusetts biotechnology company continued to develop an injectable trauma foam that can tamponade bleeding tissue within the abdomen. Unlike trauma foam, XStat is not designed for abdominal wounds. However, the simplicity of the sponge concept means XStat could be adopted more easily by emergency providers and trauma systems. In fact, RevMedX is currently developing a sponge-based device for the treatment of postpartum hemorrhage in low-resource settings. Did you like this article? Our free monthly newsletter includes regular features on trauma research and technology. Click here to subscribe.